Sweet Molly's Creamery is a family-owned and operated ice cream shop. We’ve been making homemade ice cream on the Grand Strand since 2004. We use high-quality ingredients in small batches to make our exceptional super-premium ice cream. There is a variety of 18-22 flavors available daily including our homemade frozen yogurt and sorbet. 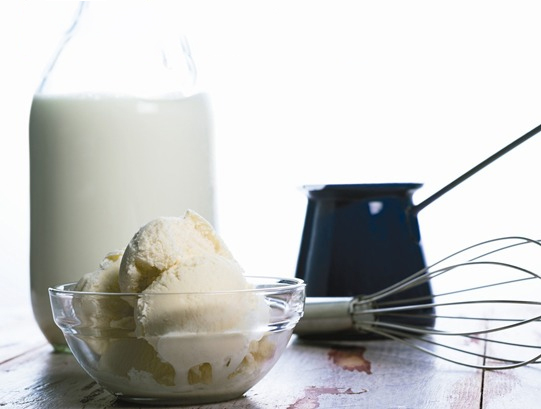 ...we always use a Super-Premium Ice Cream Mix as a base to all of our delicious ice cream recipes. The highest quality flavorings and extracts go into all of our recipes, including bourbon vanilla, cocoa powder, real cinnamon, fresh ripe bananas and more! As always, Sweet Molly's Creamery provides an interactive ice cream experience. Every guest can choose mix-ins of fruits, nuts, candies, chocolates and cookies to fold into their homemade ice cream, frozen yogurt or sorbet. This allows each guest to personalize their perfect ice cream. Not only are you supporting a locally owned family business, you are also helping a local animal shelter! A portion of our revenues are donated to local animal rescue groups. After all, that is where we found Our beloved Molly and she wants to help take care of her friends! Thanks so much and please remember….